Jollibee’s first Manhattan location will be in midtown. Midtown continues to transform into the epicenter of the world’s favorite fast-food chains. 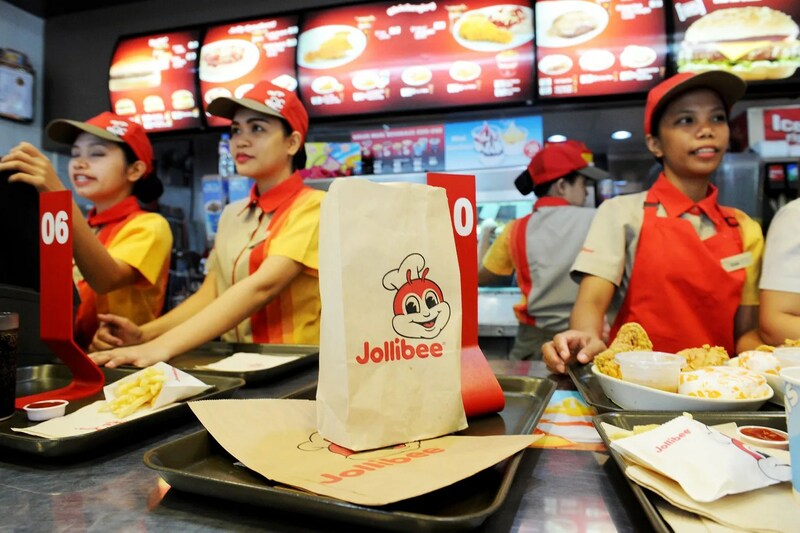 Jollibee, the Filipino fast-food behemoth with nearly 900 locations around the world, will open its first Manhattan location this fall at 609 Eighth Avenue near the Port Authority. This, however, is a slightly more interesting development than the arrival of something like an Arby’s or another Chick-fil-A: Along with Amazing Aloha Champ burgers, flavored fries, and extremely popular fried chicken, the international chain also serves more distinctively Filipino fare like garlic-marinated milkfish, and spaghetti and rice. The new location will presumably be mobbed from the get-go. Of course, if New Yorkers love one thing it’s waiting a really long time for food — and there’s reason to expect them here. When Jollibee’s first New York location opened in Woodside, Queens, back in 2009, fans formed the kind of waitsusually reserved for novelty foods and stunt pastries. Filipinos make up the largest Asian-American population in California, so it’s interesting that the Filipino food scene in Los Angeles is not as prominent as, for instance, Thai or Chinese. There are various theories as to why there isn’t a stronger Filipino food scene in L.A.: a common one is that home-cooked Filipino food is better than restaurant food. While that may be popular reasoning, that doesn’t explain why restaurant chefs can’t cook better than mom. This makes sense. The Chinese, Japanese, and Korean communities, on the other hand, were forced to develop their own self-sustaining communities because of stark language and economic barriers. Opening restaurants were not only their way of feeding their community, but an entrepreneurial move. The Filipino community didn’t need that; by applying for the H-1B temporary work visa which allows trained nurses to enter the country and work right away, they were able to assimilate more easily. But that doesn’t mean there isn’t a Filipino community. During dinner with Marianne in Historic Filipinotown, I realized that the Pinoy community in L.A. is strong. They seem better organized and much more established than most Asian immigrant communities. They just don’t open as many restaurants. The cuisine of the Philippines is a true hodgepodge of international flavors with Malay, Spanish, Chinese, and American influences, and is generally big on stews, roasts, and meats with a distinctive sour element. Grill City is a turo-turo establishment. What that means: a cafeteria-style dining set-up. 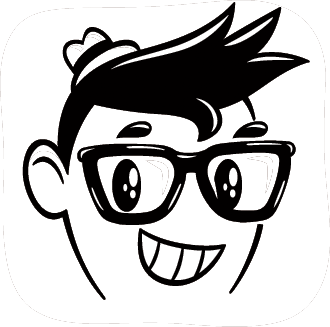 “Turo” means “to point” in Tagalog, and that is exactly how you order: point to what you want. The folks at Park’s Finest don’t like to market themselves as a Filipino barbecue joint, but prefer the term Filipino-inspired instead. The menu is a variety of meats like pork shoulders slow-roasted for 16 hours, sweet Filipino longanisa (a spiced sausage), and thinly-cut crusted sirloin beef paired with homemade horseradish sauce. They also have their own take on cornbread, which is made with rice flour and baked on a banana leaf for flavor. If you make it there on Wednesday, they have a Worker Wednesday special where customers get a little bit of everything. Belly and Snout is the place to go for a no-frills, fast, and casual Filipino food experience. The food quality is top notch here and though at its core it’s thoroughly Filipino, it’s presented in ways completely approachable to those with less adventurous palates. Think hot dogs, french fries, and grilled cheese sandwiches. But the french fries are topped with fried egg, garlic crema, and chicharron. The hot dog is a peanut braised oxtail, smothered with cotija cheese, garlic creme, beans, and cilantro. And the grilled cheese is sandwiched with house-made sweet sausage and American cheese. Located in the heart of Koreatown, Belly and Snout is the ideal place to end up after a long night of drinks. Max’s is a Filipino food chain straight from the Philippines. They’ve been in operation since 1945 and has become the place to go for Filipino fried chicken paired with garlic rice. The menu is mostly traditional: kare kare (stewed oxtail), pork sisig (chopped pig’s head), crispy pata (fried pork knuckles), and chicken adobo (a vinegar-based stew). “Max’s is the place to go if you’ve never had FIlipino food and want a basic introduction to it,” Avanzado says. LA Rose is perhaps the most visible Filipino restaurant in Los Angeles, and it’s one of the few Pinoy eateries where presentation is a priority. The crowd favorite here is most definitely the lumpia shanghai, which is the Filipino answer to a Chinese-American spring roll. It’s deep-fried and stuffed with ground meat and various spices. For that classic sour element, the sinigang (sweet and sour soup) is a good thing to try. It’s cooked with pork belly and ribs and balanced out with chunks of taro and greens. Folks on the more adventurous side can pursue the dinaguan — blood stew with beef. But if you just want meat, give the Cebu-style lechon a whirl. “Lechon” means roasted suckling pig and Cebu is an island in the Philippines. Their lechon is distinguished by the stuffing — a combination of lemongrass, leeks, salt, pepper, and garlic. This food truck is a ton of fun. Perched off to the side of a very rundown strip mall, it’s truly a party on wheels. Music is blasted as a group of Filipino aunties manage crowds and sell $1 skewers off of their truck. There are grills set up all around the sidewalk where patrons can heat up their food. Menu items are offal-heavy and include blood, pork and chicken intestines, liver, and hearts. There’s even balut (fertilized duck eggs). Most customers are Pinoy who come for a taste of Filipino street food. If you’re clearly not Filipino, the owner, if she’s in the mood, might ask you for your country of origin and proclaim it loudly and proudly on her microphone for the crowd to hear. Lechon is one of those classic Filipino dishes that everyone has to try at least once. It’s an entire suckling pig, roasted and glazed, and Eva’s is one of the few places that get it right. Banana leaves are usually used to brush the roast and the key to a good lechon is the skin, which should be a crunchy caramel brown. It’s almost glassy when bitten into and the meat is tender and full of juice (no doubt a result of hours of slow and low roasting). This is most definitely party food. Their largest pig is $260 and can feed a grand total of 80 people. LASA is truly where the future of Pinoy dining in Los Angeles lies. In Tagalog, “lasa” means taste or flavor, and brothers Chase and Chad Valencia are raising the bar for Filipino fine dining, creating a pop-up that merges cuisine from the Philippines with the seasonality of the local farmers’ market. As with events like these, menus rotate regularly, but past items have included pork rillette paired with sugar cane vinegar pickles and duck longanisa (sausage) with chickpeas and kale stew. which is a combination of crispy pata (fried pork), lechon kawali (crackling pork belly), and a whole fried chicken. The eatery specializes in Filipino-inspired treats and the cornerstone of the menu is the namesake dish — the lovely crème caramel. Presented in a pool of caramelized syrup, it has just the right amount of resistance so it doesn’t fall apart at the touch of a fork. In fact, the discs are just firm enough to divvy up among your friends. The caramels are creamier than most, but that’s just because the recipes are based off of the owner’s Filipino aunt’s rendition of leche flan. Gently cooked in a Bain-marie, Filipino flan traditionally has a heavier egg ratio; and Crème Caramel LA has taken it upon themselves to color the dessert with the flavors of their heritage. They always have French custard, coffee, and chocolate varieties on tap, but if you you happen to stumble in on a good day, you’ll spot some of the most colorful flans to ever grace the Valley. Lavender and bright neon green color variations sit side-by-side. They’re made with fresh ube (purple yam) and buko pandan (young coconut and pandan, also called screwpine), respectively. True to its tubular roots, the ube has an earthy, heavier taste — a clear contrast to the sweeter dewy flavor profile of pandan. Try them both or order in advance for an eye-popping addendum to any dinner party or Instagram feed. I’m a writer with a knack for Asian cuisine. Los Angeles native. In the Buzzfeed video called “School Lunches Around The World” which (as the title suggests) shows the average school lunch of children from various countries. Most interesting of all was the difference in size, nutritional value and of course, content. According to the video, a typical school lunch in the United States consists of a peanut butter and jelly sandwich, some chips, a Go-gurt, an apple and some milk. Although many comments argued that a more typical American school lunch consists of a slice of pizza instead of a PB&J, we have to admit that this combination pretty much hits the mark when it comes to average lunches. But does the video accurately show the average school lunch in Asian countries? Although the image shows Japan’s lunch consisting of rice, mackerel and pickled spinach, it’s safe to assume that the vegetables and fish can be substituted with other ingredients. The main essence of a Japanese lunch is clear: food is made from scratch and made to be healthy. In fact, Japan’s child obesity rate, which is always among the world’s lowest, has declined for each of the past six years. For the Philippines, the video shows rice and lechon kawali (pork) on a banana leaf rather than a plate. Admittedly, the banana leaf gave quite a few people a chuckle. Viewers recognized this as the tradition in many rural areas of the Philippines. The main issue some had with this image is that it did not feature seafood, a staple of Philippine cuisine. That aside, this simple combination is more than common. Unfortunately, a diet rich in meats like Lechon may be the reason for high rates of hypertension. India’s school lunch consists of rice and saag paneer (a classic Indian dish consisting of cooked spinach and fried paneer cheese with thickened cream or coconut milk) and dal makhani (another Indian staple consisting of whole black lentil and red kidney beans). The meal has become an average school lunch thanks to a massive school feeding program which aims to improve nutritional levels among children. Korea’s average school lunch consists of purple rice, soup, kimchi, radish and bulgogi (grilled, marinated beef). While some viewers commented that this plate is inaccurate because it should be flipped to have the rice closer to us, we can go ahead and agree with the plate. Anyone who has dined at a Korean restaurant is accustomed to the colorful meal and the numerous side dishes.